摘要 目的比较常见的3种商售RNA提取试剂对乙脑病毒检测的相对效率、耗时和成本，为实验室应用及检测结果的评价提供依据。方法对乙脑病毒参考株悬液作10^-1～10^-4系列稀释，选用QIAGEN公司的QIAamp Viral RNA Mini Kit、Sangon生物公司的RNA提取试剂盒和Invitrogen公司的Trizol试剂3种核酸提取方法提取上述样本RNA．用TaqMan实时荧光定量反转录聚合酶链反应对其提取效率进行评价，并比较3种试剂（盒）的耗费时间和价格。结果对不同稀释度乙脑病毒样本的检测，均以QIAGEN公司QIAamp Viral RNA Mini Kit检测的敏感度最高。以该试剂盒的提取效率为100％，则Invitrogen和Sangon生物公司RNA提取试剂（盒）的提取效率分别为77．4％～86．8％和64．2％～74．1％。3种试剂（盒）对cDNA起始模板量的估计也有明显的影响，差别达到1～3个数量级，以QIAGEN公司的试剂盒最敏感。3种试剂（盒）提取RNA耗时分别为60min、100min和70min，价格效率比分别为46元、23元和20元。结论RNA提取试剂可影响JEV荧光定量PCR检测的结果，各实验室应根据实验目的和实验室条件．合理选择病毒RNA提取试剂盒。 Objective To compare the relative efficiency of viral RNA extraction, processing time and cost of three commercial RNA extraction kits. Methods Commercial RNA extraction kits were obtained from three separate companies, QIAGEN, Invitrogen and Sangon. 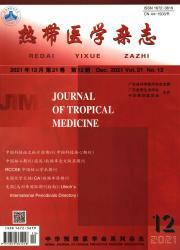 A stock solution containing Japanese encephalitis viruses （JEV） was diluted from 10^-1 to 10^-4. Viral RNA extraction methods were performed based on the instruction of the manufacturers. The RNA preparations were quantified by the TaqMan real-time RT-PCR. Results QIAGEN Corporation QIAamp Viral RNA Mini kit gave the highest sensitivity of the JEV viral RNA concentrations of the three kits for the four dilution suspensions. Taking the extracting efficiency of QIAamp Viral RNA Mini kit as 100%, then the relative extraction efficiency of the Invitrogen＇ s reagent and Sangon＇s kit were 77.4% - 86.8% and 64.2% - 74.1% , respectively. Estimation of copy numbers of JEV cDNA templates was influenced obviously when using the different commercial kits. The difference of estimation presented 1 -3 orders of magnitude. Processing time were 60 min, 100 min and 70 min respectively among the kits of QIAGEN, Invitrogen and Sangon companies. Ratio of cost to efficiency were 46,23 and 20 Yuan, respectively. Conclusion The results showed that the viral RNA extraction kits used can influence obviously the efficiency of real-time RT-PCR assays for JEV. So laboratories should be make a appropriate choice in applying commercial kits of viral RNA extraction for JEV.